Answering services have been around for many, many years. Perhaps you’ve even used one in the past for message taking or call forwarding. With advances in technology, lots of new integrations, and some good old-fashioned customer service, today’s answering services can do much more than you might think. Here’s a list of five surprising things today’s answering services can do for businesses. Lead collection is essential in connecting the customers with your product or service. Let’s face it, sometimes it’s difficult to keep up with the number of phone calls businesses receive today. If you’re missing phone calls, you’re missing new business. 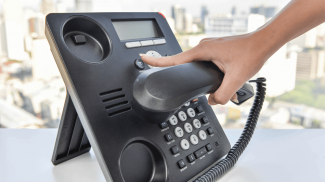 Did you know that 85% of customers won’t call you back if you don’t answer the phone? If you don’t value their time, they won’t bother with you for long and leave you behind for a competitor. The good news: you don’t have to do it all on your own. Today’s answering services can capture the exact information you want from your potential customers and instantly deliver it to your inbox and/or place it into your CRM. Even better – an answering service can take your calls whenever you want. They can take your calls 24/7 or just after hours, it’s up to you. Have you avoided a partnership with an answering service for fear the agents will sound like, well, agents? You will be pleasantly surprised by how seamless an answering service sounds today. A scripting team makes it possible for agents to capture the information that’s most important to your business and often, agents are asked not to read a script, but rather use it as a guideline for calls. As long as you choose a reputable service based in the U.S., the agents will sound like they work in-house and your callers will never know the difference. Do you find yourself taking customer orders over the phone in the evenings or on the weekends? An answering service can take those orders for you. Because 75% of customers think calling is the quickest way to get a response when placing an order, sales will continue to be processed over the phone. Answering services can input orders using their own software or they can most likely even use your own sales portal as well. When you’re busy and don’t have time to answer the phone, it’s tough to schedule appointments or manage your own calendar. An answering service can use your favorite calendaring system to schedule slots for your customers, clients, patients, etc. Now you have a team of experts managing your calls and you can now focus on managing your business. Want to know how many calls are coming into your business every month? Want to follow the progress of a direct mail campaign? Call reporting makes that possible. Many answering services have monthly call reports that will give your business all the juicy details of your calls. Reports includes overall call counts, call duration, average call duration, a list of every call, the phone number that was dialed, geographic location, and the result of the call. As you can see, answering services do more than ever before to save you time and money. To recap, answering services can collect leads, use customized calling scripts, process orders, schedule appointments and provide great caller insights. You get all the benefits of an in-house receptionist at a fraction of the cost. So there is more to it than an operator leading you into the funnel. That’s good to know. You make a great point that if you’re buys and don’t have time to answer the phone, it can be tough to schedule appointments or manage your own calendar. For that reason, it must be really useful to use an answering service. I imagine that a business owner would really benefit from having the extra help to fill their schedule if they’re too buys to set the appointments. I love how you talked about the importance of having a business phone line so that the company can interact with its clients so that you can keep in touch with the people who call you up on a daily basis for their transactions that are coursed through the company. 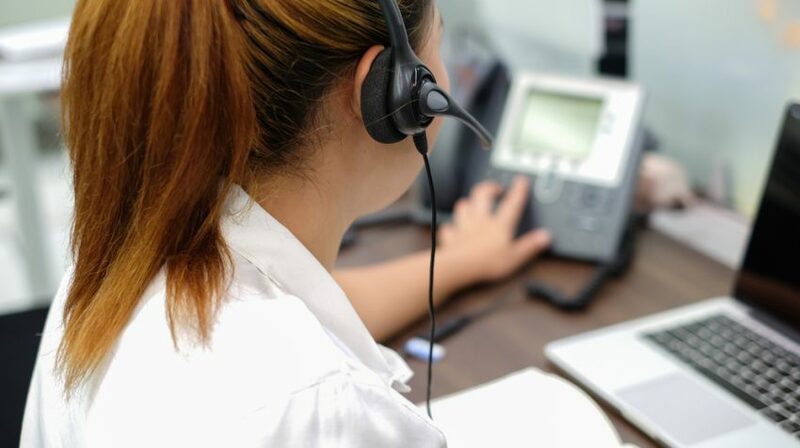 Another advantage is that when one makes orders over the phone during the weekend, having people to answer the line makes the process smoother and can help ease the workload. While I haven’t had the experience to use such a service, what I can say is that for people who choose to have an answering service definitely makes work much easier since it also allows for appointment scheduling and so that you can book appointments much easier.